In an unforeseen turn of events, the Anthony Pettis vs. Max Holloway fight — which is now set to headline UFC 206 on Dec. 10, 2016 in Toronto, Ontario, Canada (because of this) — will now be for the interim Featherweight title after the promotion stripped Conor McGregor of the belt and promoted Jose Aldo to champion. 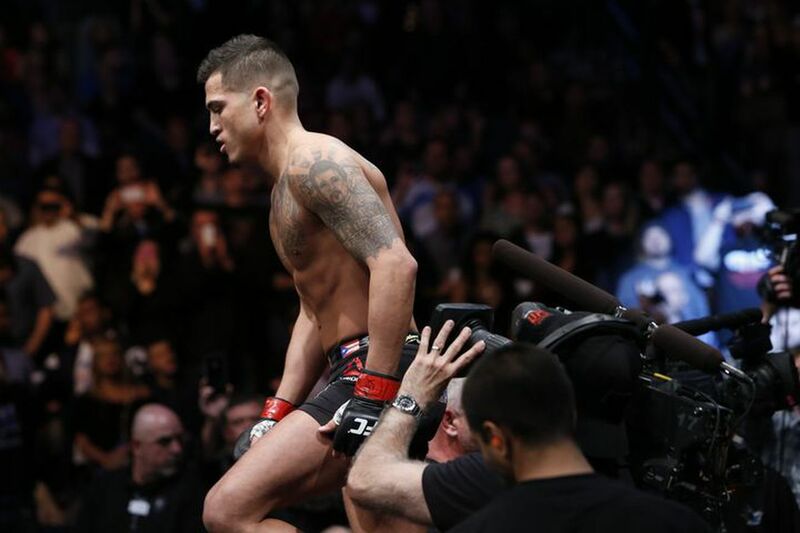 While Pettis and Holloway are the beneficiaries of the series of events, there are some who are crying foul, saying that “Showtime” doesn’t deserve to vie for a title since he only has one win at 145 pounds. While Anthony says he could care less what critics say, he will say in his defense that all people have to do is look at his resume to see his worth. Plus, as he said during a recent interview on The MMA Hour, the featherweight division could use a fresh face given the state it’s currently in. Since Jose Aldo still has no plans to fight and Conor taking time off from fighting altogether, Pettis may have a point. Should he get the win over “Blessed,” Pettis admits he won’t feel like the real champion until the fights and defeats either Aldo or McGregor.